That time is soon coming. 2007 was a helluva year. As most of you know, my little sister Haley was murdered that year, and the aftermath of that loss affected everyone who was close to Haley, including of course me. It was devastating. LD suffered a loss as well, as my sister was getting interested in becoming part of the website... but her death came before her LD debut. She was photographing things, and trying to build up a few stories & photo sets for LD. I can so remember she & I going out to supposedly haunted El Paso High in the middle of the night, walking around the entire school a few times while trying to get photos... giggling because we both got startled a few times by noises... I still have those photos, and have never had the heart to post them on LD. In fact I hadn't had the heart to do much of anything since 2007, other than mourn my sister and try to just get through the aftermath and the trial dates. Unfortunately, LD was one of those things that was set aside until things could settle. Things now are not totally 'settled', as usual in mi vida loca things never really are, but it's at a point where I can start to extend myself to LD (and my other artistic pursuits) once again. I've got a lot of fantastic things to add to the site, plus more coming up... right now the LD redesign is running into an IE6 problem, which my tech guy is working on. As soon as that's conquered, LD will be up & running, and running down some very dark & spooky corners. Til then, you guys can totally stay updated on the LD facebook fan page... I will of course be posting updates there, as well as trying to keep you guys entertained/informed/intrigued with a steady dose of the weird, creepy, abandoned & mysterious. Invite your LD-loving fans to the page! Also, feel free to post your own creepy photos in the fan photo albums, or post your spooky stories in the discussion forum... it's great when you guys get involved. I hope you guys are enjoying the ride so far... we'll seeya soon! A U G U S T / 1 3 / 2 0 0 7 It is with great sadness that we must announce the passing of one of the dearest members of the LD family... our beloved Angeleyez, Shady's little sister and longtime LD contributor/Scooby. Angeleyez was murdered last week in her home; the suspect has been apprehended and we all hope justice will come soon for our beautiful girl. Lost Destinations in local news- check out this article on the Airplane Graveyard that was featured in the El Paso Times today... cool stuff! We've posted a statement about Shady's hospitalization and an update on her current status here, and we send sincere thanks to the supporters out there as well. So join the LD friends list for bulletins about the latest LD updates all you MySpacers! N O V E M B E R / 3 0 / 2 0 0 6 First off, we have a new Shady-toon to reflect the new streaks I now have in my hair. Booya. Also, just wanted to drop a quick note- I have designed an El Paso calendar and it's ON SALE now (and for a few more days), so now is a good time to grab one. The calendar features twelve 8.5" x 11" full-color glossy photos I shot around my Southwestern hometown. Bonus- after you use the calendar, you can frame the prints... that's like 12 prints and a calendar all in one baby. 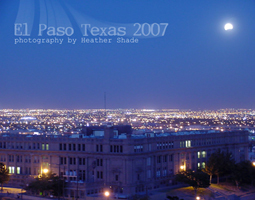 So whether you are an El Paso native or just like Southwestern photography, if you are in the market for a unique 2007 calendar check this one out. All proceeds go to my Starving Artist Fund. Thanks. Lastly, one more thing- due to a recent hard drive crash (more boo, hiss!) I lost a whole bunch of viewer submissions that I had yet to add here... *sob* So if you sent something in that didn't make it on here (this would have been anything not added that was sent longer than a few months ago), I may have lost it. Please resend! OK you guys- we LOVE hearing your stories, so please keep the submissions coming my Virtual Scoobs, and I'll keep working on adding them to LD! And thanks again everyone!! ..so turn down the lights and get Lost in the paranormal. And don't forget to take a virtual tour of the cemetery section of LD as well...and, also, wander through the dark halls of my personal haunted homepage- Shady's Virtual Lair- why don'tcha?? After all, there's no better time than Halloween. 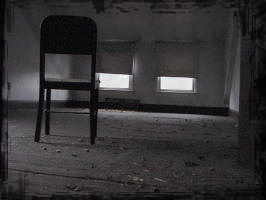 O C T O B E R / 1 9 / 2 0 0 6 New update- Casper shares with us a very chilling experience at the 'House Of Handprints', a spooky abandoned & remote house she bravely explored in Iowa. Brrrr! Also- the Lost Diner chat night has been switched to Tuesdays- come join us for our first Tuesday-night chat tonight!! Check for the start time in your time zone here. And, I'd like to invite all of my fellow Flickr users to connect to me on my Flickr page... let's connect & get in touch- add me as a contact, I have lots of spooky (and otherwise) pics to share with ya!! So c,mon!!! First off there is an update- Evergreen Memorial Park- a fascinating old cemetery that Lobo & I wandered in Riverside, CA; where among it's stones we found many intriguing & mysterious symbols and intricate engravings. Check it out, cemetery-lovers. After a long & involuntary hiatus, I am busily working on a lot of new stuff for this site, now that I am back in 'commission'. Without getting into too much detail (which I literally cannot right now, due to pending criminal and civil cases/legalities which I will be dealing with down the road, and no- they are not toward me, I haven't done anything criminal/illegal I assure you, but someone I was involved with has, and so unfortunately I am going to have to be involved in the aftermaths)... I had some horrible personal blows rendered to my life, livelihood, and health in the past few months. The actions committed by the other party left me literally homeless, without a dime to my name, and with a mound of legal issues and bills to try to sort out. And my health took somewhat of a nosedive due to the stress. So I have been dealing with a lot and thus, absent from the internet and my websites. I apologize for my absence. Needless to say, my personal life has gone through an intense rearranging. EVERYTHING that can be different, is. I am still technically 'homeless' but through the charity of a family member now have a roof over my head for the time being as I sort things out, so I am 'ok'. My health is improving. And as for the more personal changes, this is not really the venue to discuss them but those who are interested know they can always read about such stuff over on my personal blog. And I do have lots of new stuff in the works. The next update will be a creeepy one, a very spooky place and story brought to us by none other than Casper, and after that, Lobo's first-ever Lost photoshoot, featuring an incredible place I think you will all agree is one of the most amazing abandoned structures we have ever posted on this site! And, I have not forgotten the Viewer's Choice Poll guys... I will be adding the chosen site shortly and then putting up a new poll for you all to vote on. The Full Moon Gallery & Calendar is also being updated and archived for the missing months, so there will be that, too. We have not had a Lost Diner chat in quite awhile, due to my life-mayhem and dis/re-location... but we will be resuming them again so get ready to get your chat on. The regular night is going to change from Thursday to Tuesday once we get going- to help accommodate Casper's new work schedule- but I will update here about that when we are ready to start, k? 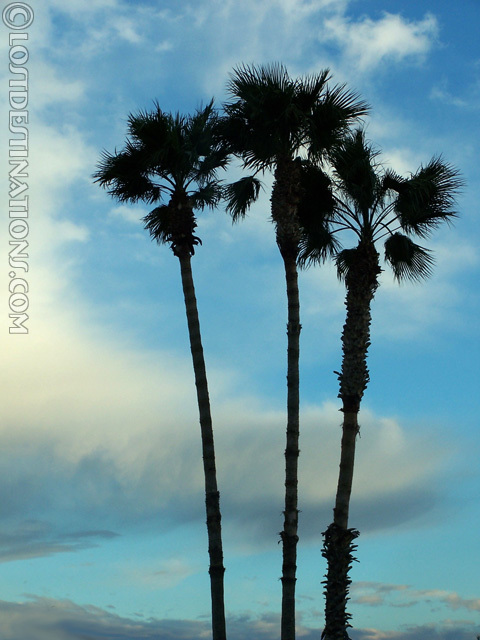 And finally, I am currently working on an entirely new offshoot to this site that I think many of you are gonna dig... I don't wanna give away too much info yet, but let me just say that those of you who like to be SCARED might be in for a horrorific treat... bwaahahaa. Stay tuned for details! Enjoy the update, and stay tuned for moremoreMORE! Also, I wanna send out a great, BIG congrats to Cas- who is going to have some of her awesome work published in a book- yay! You go, girl! M A R C H / 1 6 / 2 0 0 6 Lobo and I take a drive on the wild side! Check out our road snapshots as we seek out Arizona weirdness in cemeteries, small towns, desert backroads, and more (including Phoenix, Tucson, Bisbee, and beyond) for the upcoming Weird Arizona book! F E B R U A R Y / 2 3 / 2 0 0 6 Yay- the brand-new Lost Diner forum and chat room is now open! And to celebrate the event, we are having a LIVE Lost Chat tomorrow night, Thurs, 8 PM CST. For more details, check out Shady's journal. If possible, there will be reports from the road (technology willing!) 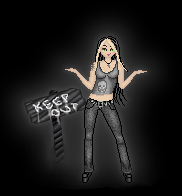 so stay tuned to the Lost Diner and Shady's journal for trip updates. O C T O B E R / 31 / 2 0 0 5 HAPPY HALLOWEENY, my friends and fiends!! I hope that you are all enjoying a spooky-fun (and safe) Halloween.... and in honor of this ooky-spooky holiday- I have some treats, so don't go playin' any tricks on me, you guys...! First, I have added the mysterious and mystical Mt. Rubidoux (in Riverside, CA)- which boasts a medieval-like tower and bridge at it's summit, amongst other things... and it is haunted by some legends and superstitions that you just won't believe! Check it out here. HAPPY HALLOWEEN FROM SHADY & LOST DESTINATIONS! What Scooby Villain Are You? You are the outta control type who likes to run amok in deserted amusement parks. Yeah, you know what we're talking about. You are Charlie The Robot. One last thing- my Heather Shade site is up and fully functional now- so head over there and take a look through the photo galleries if you are so inclined. Thanks! 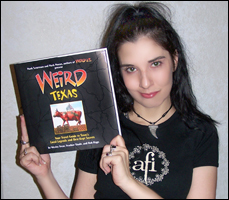 A U G U S T / 3 1 / 2 0 0 5 I just added a page to keep up with the Weird Texas news and events... check it out! I wanted to mention that I will be doing book signings here in El Paso, on August 20th, 3:00 PM at the Barnes & Noble on Viscount, and September 3rd, 3:00 PM at the Sunland Park location... so you local people come out and say 'hi'! ...also for the El Paso area folks, this coming Monday (the 15th) at around 8:30 a.m. I will be on the KLAQ (95.5 FM) Morning Show. In addition, I will be on KWTX-FM Waco TX with Darren Taylor and Chrissy, on Wednesday, August 31, 2005 at 8:40 AM-8:55 EST, for those of you in the Waco area. I may be doing some more radio interviews, I will let you all know more about the details of those as they come up. In honor of the book coming out, I have posted an update featuring one of the weirder places we found while out exploring for the book- the creepy 'Chinese Graveyard'... an odd cemetery in San Antonio with an interesting urban legend. Enjoy! Also, as chosen by you guys in the Viewer's Choice Poll, Building 265- an odd structure of unknown origin where we found much strangeness- has just been added. And, if you haven't looked at the Full Moon Calendar and Gallery in awhile, check them out... I've added all the newest moon pics. Enjoy! M A R C H / 2 2 / 2 0 0 5 We leave for Houston this morning, for the last roadtrip slash exploration for the Weird Texas book. We are supposed to have internet in our hotel room, so we might get online and maybe even let you spy on us in the room via our webcam, wooo! So in the meantime... keep an eye out for us online, check my journal for possible updates from the road, and we will seeya next weekend.... ta ta friends! Join us every Thursday in the Diner- at 9 PM Eastern Time- for Live Lost Chat! We are looking for a few good Scoobs. Wanna contribute pix/stories?